The legacy of your work has a value harder to compare with pure money, so we should try our best to incorporate that in our professional decision making. I’m not a professional athlete. That may surprise many of you. Still, without any real awareness of the experience, I find myself scratching my head whenever a big name, well-paid professional athlete chooses more money over legacy. In most cases, it seems ill-advised. I understand that with injuries threatening livelihood, athletes are smartly coached to get what upfront money they can as soon as they can. And I understand that there is often a mind-boggling amount of money on the table, but they seem to be facing on only one axis of success. 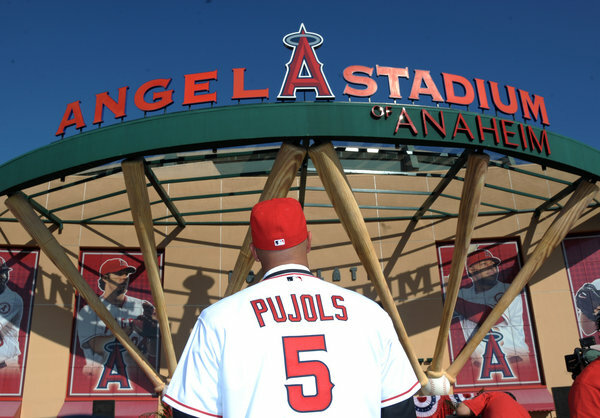 But if the celebrated and beloved Pujols becomes a target for boos and taunts, he’ll have to assess how much money an attack to his legacy is worth. Boxing legend Joe Frazier is again the focus of a story of mine, though this time I’ve filed a Frazier piece for SportsIllustrated.com, likely the most recognizable brand in sports reporting for a half-century. “Smokin'” Joe Frazier is still fighting. Go read the full story, comment and then come back here for some of the backstory. Everyone in this country, I figure, ought to be watching the again flourishing NFL rivalry between the Philadelphia Eagles and New York Giants in today’s NFC divisional playoff contest. So who would be scrolling the Internet? Still, this game made me think about how newspapers are losing ground for which they need to fight harder – local sports.